Image first uploaded on 24 September 2014 and published in the entry Apple Trees. Still tasty, even at the end of the season. 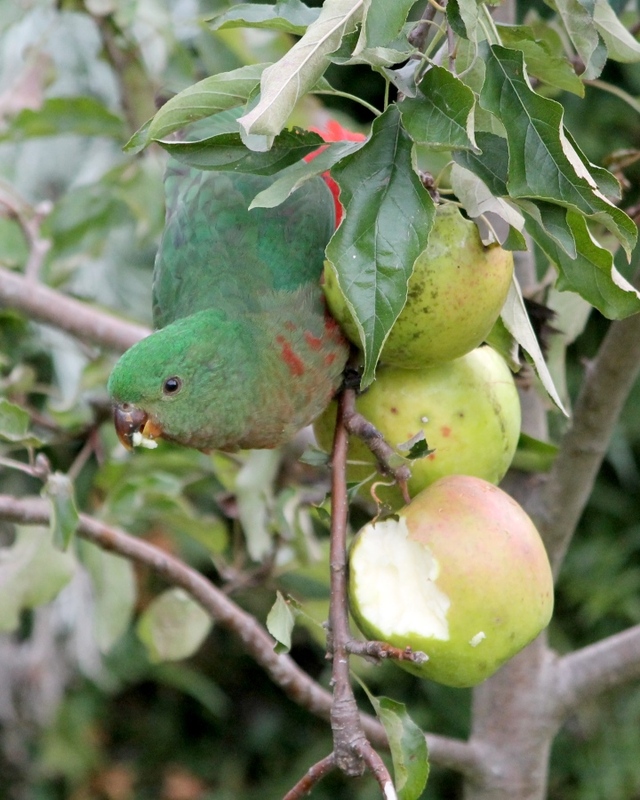 Our crop of apples had started to brown off by April of 2014, but the King Parrots continued to enjoy them. Return to the entry: Apple Trees.